The easiest way to give a makeover to your room- cushion covers! 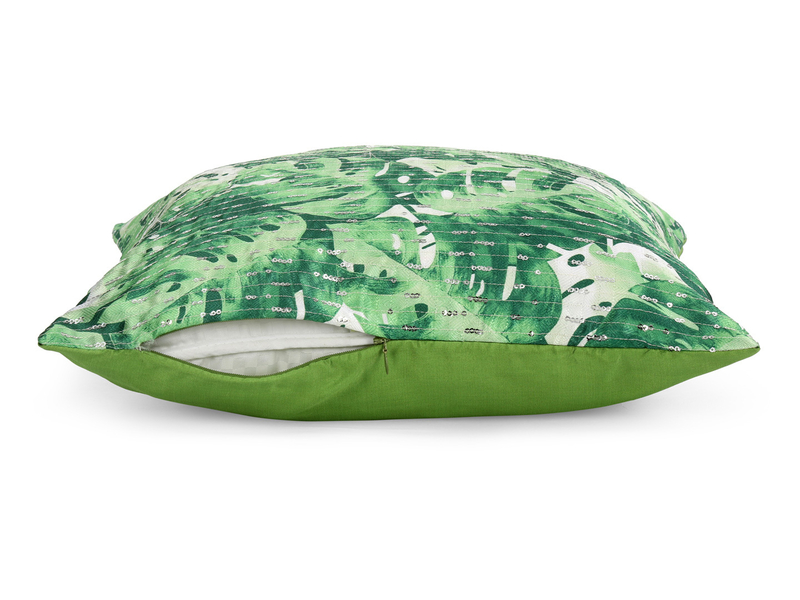 Bring a little bit of the tropics in your home with this set of green cushion covers. Green tropical Monstera leaves are spontaneously collaged together and given a glam finish with sequins, while the back remains a solid green. Light and leafy, these cushion covers can be a perfect addition to your bedroom or even the living room couch. Make them a part of contemporary or Nordic style interiors to bring out the best vibe. Whether it’s a seasonal change, an annual makeover for your home or you’re just craving for a slight change in your home décor, this pair of cushion covers can elevate the look of your space in a jiffy.